Excellent restaurants and shopping within 5 mins. Walmart, Publix, CVS, Walgreens, Blockbusters, fast food restaurants all less than 5 minutes drive from house. New shopping development including Target, Belk, Best Buy, Michaels, Staples just opened only 10 minutes away. Lowes just across the road. 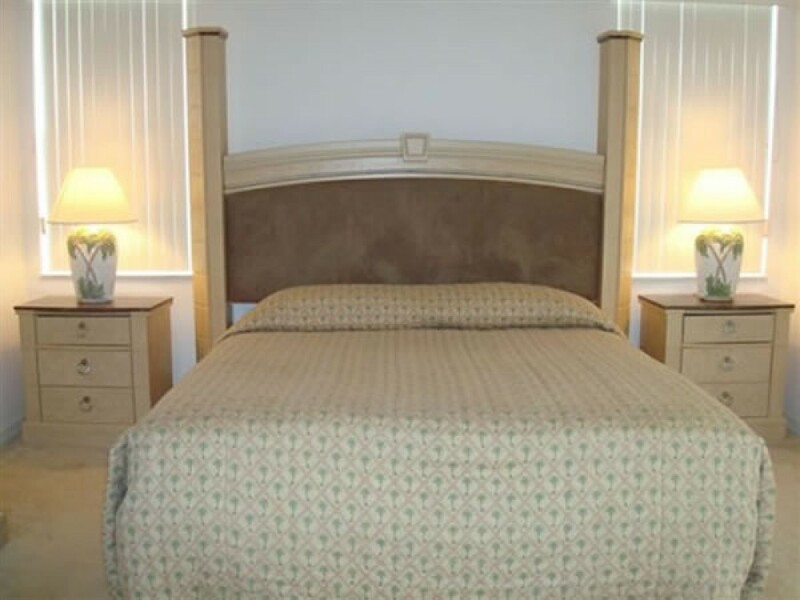 It is ideally located to shopping including a very convenient 24 hour Walmart only half a mile away. It is a wonderful place to spend your vacation. Our villa can sleep a maximum of 12 guests, plus baby. It is fully equipped and will feel just like home. If you wish, or have to, work on this vacation, we also have a defined office area with free wireless internet throughout the home for your convenience. You will love our open plan home which features a spacious living area and foyer. There is cable TV throughout for you to enjoy, plus the facility of a dvd/vhs player in the den (we also provide a selection of videos and dvds). All rooms enjoy the coolness provided by ceiling fans, most welcome on balmy Florida nights. The pool (with excellent safety fence and buit-in light) is south east facing and you’ll be spending lots of time here soaking up the sun. After a long day in the parks, relax, have a barbeque/outdoor meal and watch the kids play. You'll love the sheltered lanai with ceiling fan, by the pool and will probably spend most of your time here admiring the lovely landscaping with beautiful palm trees (this is what Florida is all about!). Plus there are great views of the lake from the front of the home.